One Off Special in white. 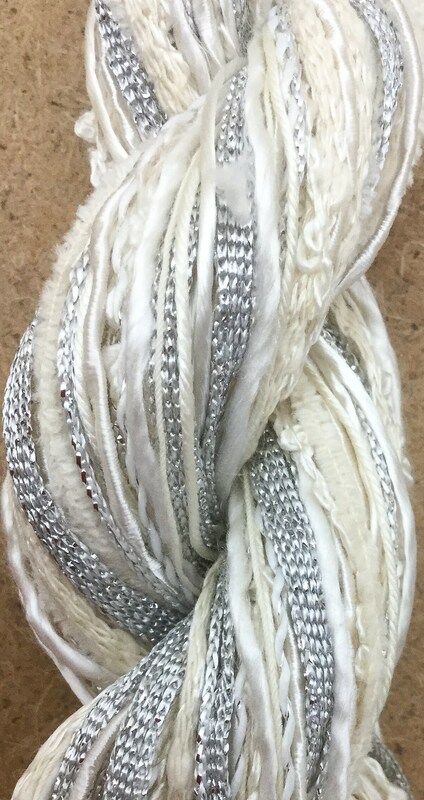 This hank contains a selection of undyed threads that are not in our regular One Off. A gorgeous selection of Cotton, Silk and Viscose threads in various textures and thicknesses in one skein. The skein contains at least 9 different threads measuring 5m each - 45m (49.2 yards) in total or possibly more. 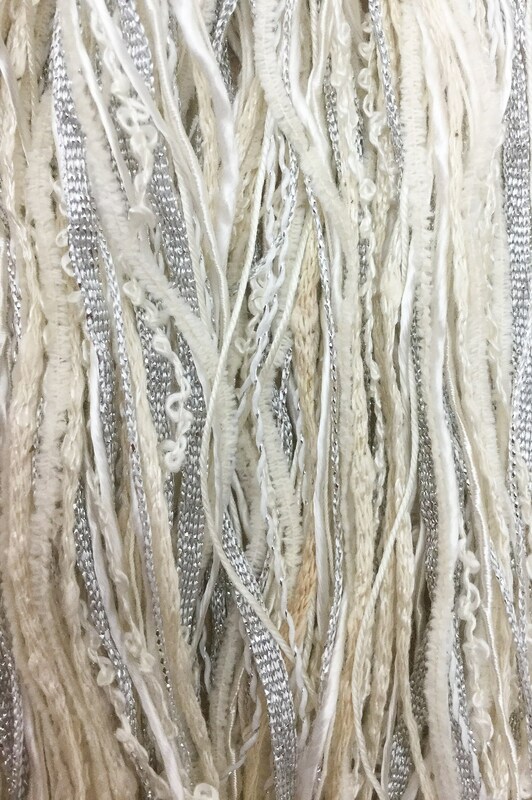 Colour - White, Ivory, Silver Lurex.